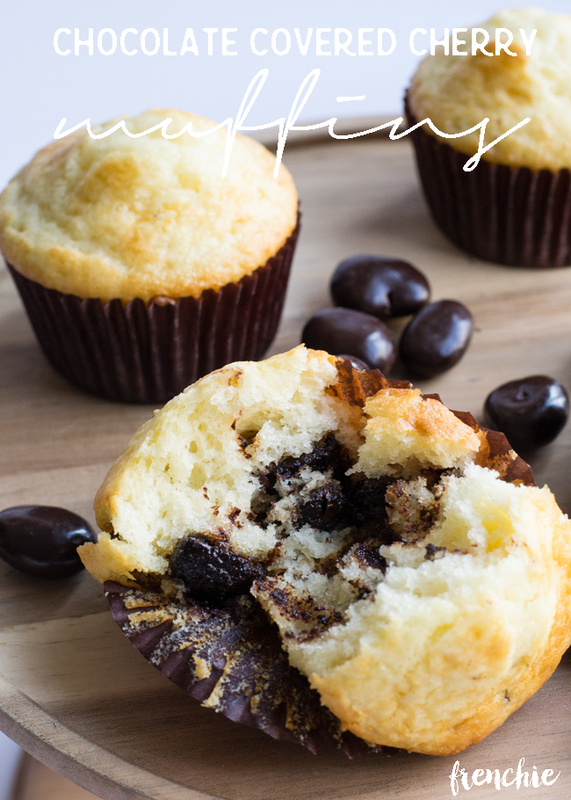 So when I first thought about making this recipe, I thought about making them from scratch. 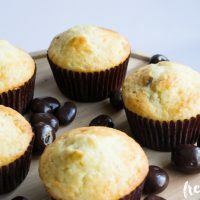 You can most definitely find a quick bread recipe and add in the DOVE® Fruit and create them that way but I need things easy in my life lately. I ran to Walmart and grabbed all three flavors and a box mix of blueberry muffins, any brand will do. 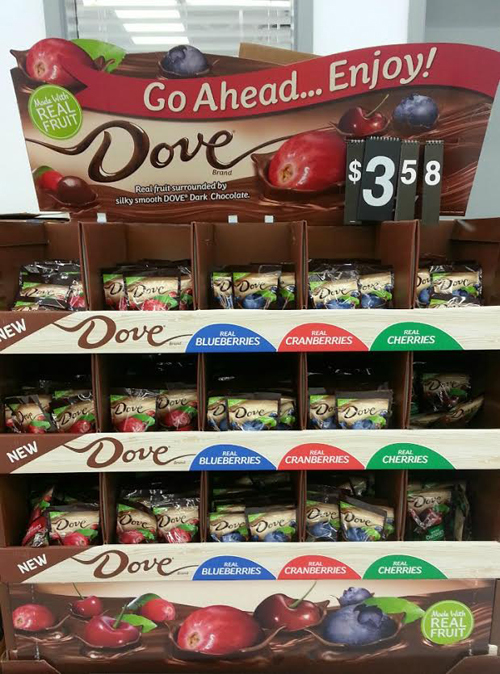 Mix everything according to package directions omitting the blueberries that they include and instead chop up some of the chocolate covered Whole Cherries by DOVE® Fruit. I like using these rather than the included ‘fruit’ because DOVE® Fruit is actual fruit covered in Dove’s delicious chocolate rather than those tiny micro ‘blueberries’. Preheat oven according to package. Mix muffin mix according to package directions. 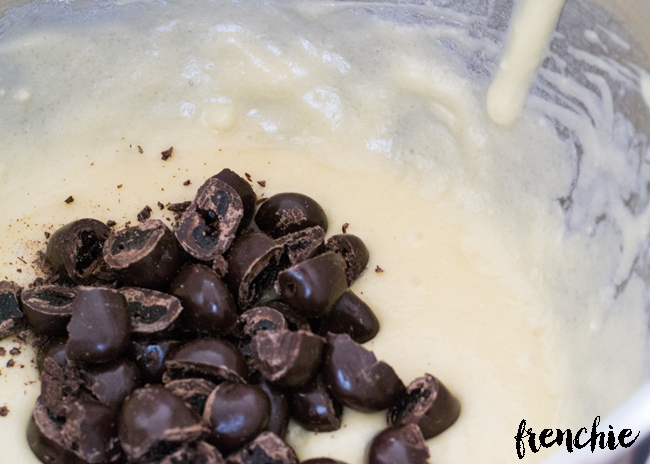 Chop DOVE® Fruit cherries and fold them into the batter. Scoop into lined cupcake pan and cook according to package directions. Fold the cherries into your batter and cook according to your package directions. Cool then serve. 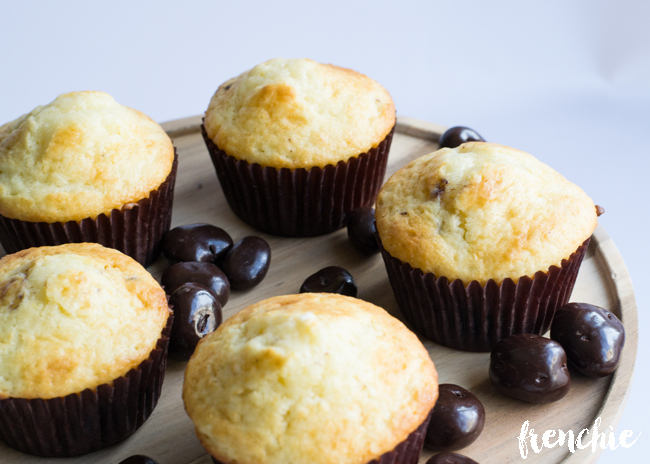 Tastes delicious with some butter or better yet, serve it up with some eggs and bacon. 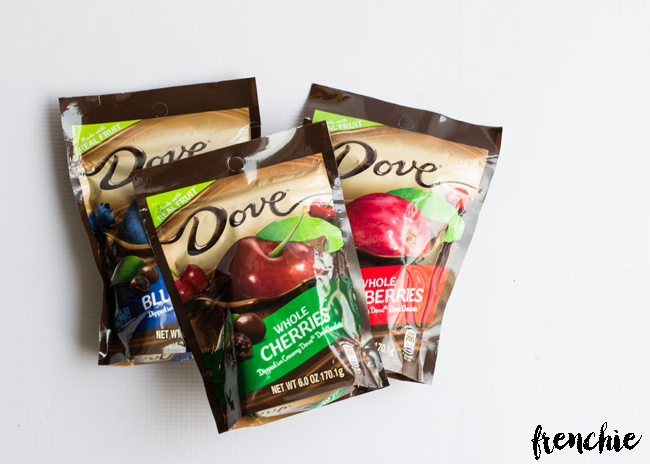 Check out some more of DOVE® Fruit recipe ideas here. Make sure you guys grab this special coupon to get $1 off a pouch 6.0oz or bigger, HUGE savings!